Tyler is a Buffalo native, born and raised. He is a double major in finance and economics and is expecting to graduate in May 2016. At Canisius he is the Director of Operations at MyLinkFace, a student run organization that tutors students in English, and the VP of Social Entrepreneurship in CEO, an organization devoted to promoting entrepreneurship and improving the leadership skills of its members and the student body. 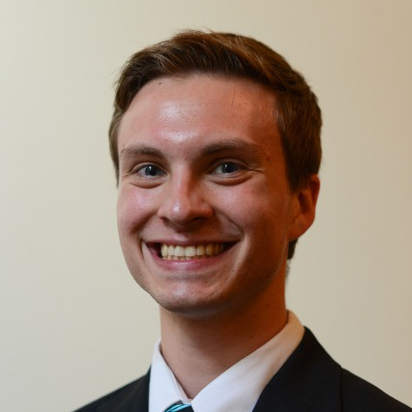 He has been involved with these organizations since he was a freshman at Canisius. He was recently accepted into Canisius’ Golden Griffin Fund, which won the CFA global competition this year. He has been on the Club Ultimate Frisbee team in his freshman year and the Men’s Rowing Team during his fall 2014 semester until he studied abroad in Galway, Ireland for the spring 2015 semester. He has previously been employed as a landscaper by Menne Nursery for the summer of 2012, a busser and banquet server at Park Country Club from May 2014 to the present, a Credit/Finance intern-turned- associate at Ingram Micro from the summer of 2014 until November, and is currently employed by Priam Enterprises as an intern. He hopes to use his knowledge gained at Priam to help him create his own real estate investing company with a focus on rental properties. He also has interests in starting his own business, either in the entertainment industry, aerospace industry, or environmental technology industry, and his priority is setting up shop in Buffalo. This is in addition to his career interests, which include working as a financial analyst or an urban planner. His aim is to improve the quality of life for the citizens of Buffalo via better housing, better city living, or better employment opportunities.